When you have a birthday party that has awesome props, why not reuse it for a family portrait session at the studio the next day? 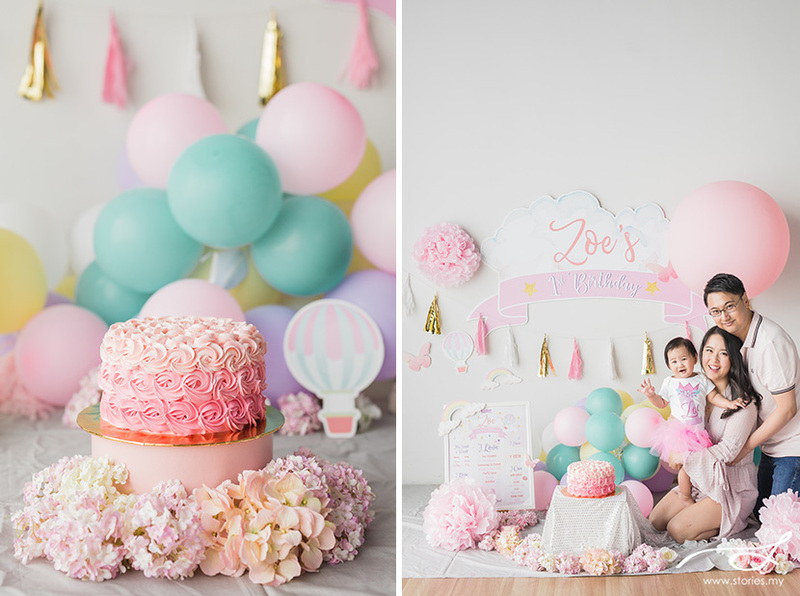 We love this pastel theme, perfect for a little girly-girl. If you would love to have a styled portrait session at our studio but do not have the capacity to decorate it like these, you can contact us – we do have some props at the studio, or we can point you to a planner that can help bring your vision to reality. The only thing we definitely cannot do is whip up a cake from our fridge! 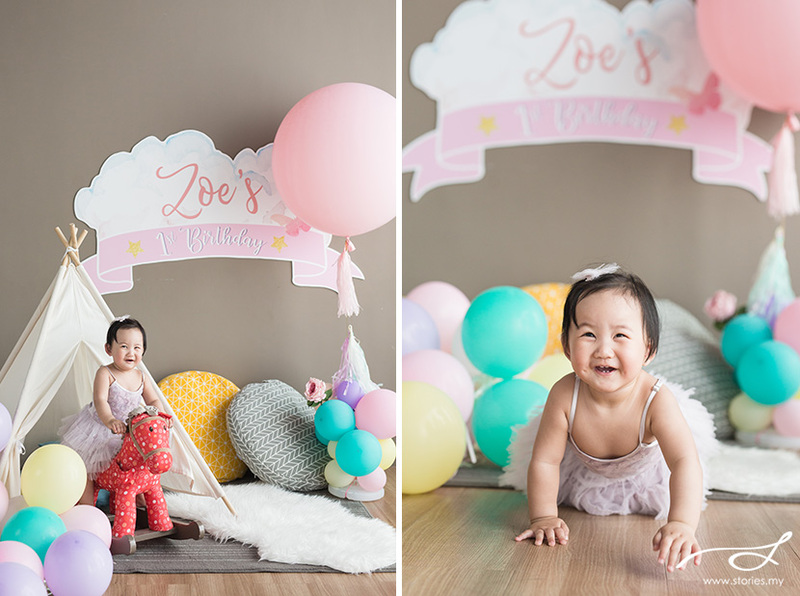 You would have to order one for your session if you are interested in having a cake smash session too. 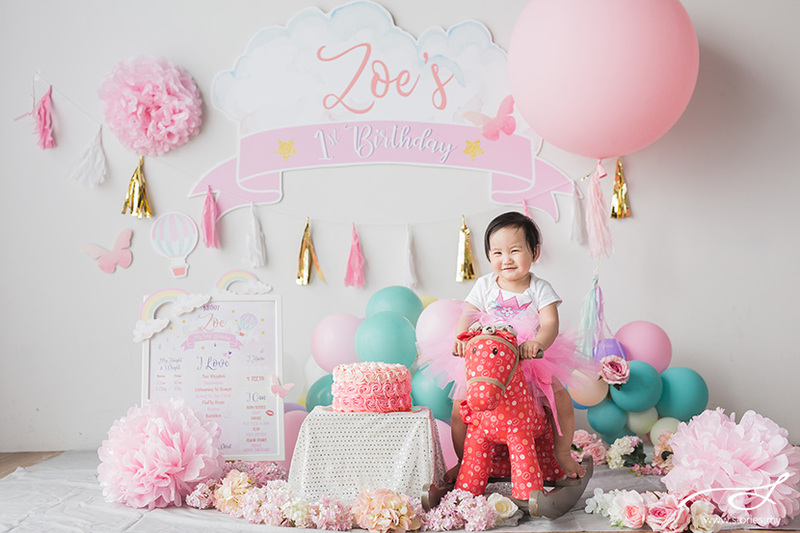 Ice cream themed birthday bash – Thea Grace turns one!